Now that Danielle Staub is back on Real Housewives of New Jersey, it’s hard to not feel nostalgic for the good old days. The first two seasons of this show were nothing short of iconic. Sure, there have been some epic seasons since then (and some lackluster ones as well), but it’s hard not to miss the original cast. Dina Manzo lives in California now so it makes no sense for her to be on the show, but there are some rumors swirling that Jacqueline Laurita and Caroline Manzo might return to Real Housewives of New Jersey next season. 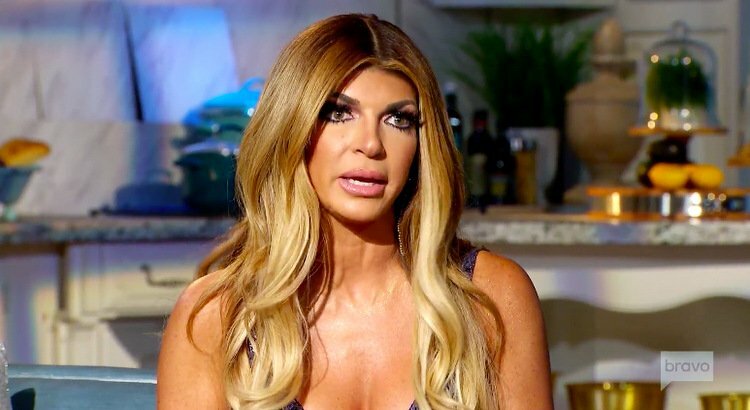 Now the only remaining OG cast member, Teresa Giudice, is sounding off on the rumors. This could really be what the show needs: some authentic beef. Let’s go, Andy Cohen. Let’s move past a season of talking about cake, nicknames, and faux businesses and watch a season full of genuine drama. The old Teresa only came out when her nemesis Kim DePaola aka Kim D showed up. Otherwise, she got along with the actual cast members and was all about the namaste. Good for Teresa, but that’s not what we want to watch. If Caroline and Jacqueline were on the show, Teresa would be hurling grammatically incorrect insults left and right. Then things took an interesting turn when Teresa referenced Caroline’s longtime feud with her sister Dina. She said, “When you trash your own family, you’ll do anything for money. If you can’t even make up with your own family, of course she’s going to trash me. Like I care. She’s nothing to me.” Did Teresa just forget about the years of feuding with her brother Joe Gorga and sister-in-law Melissa Gorga? But I guess she’s saying that since she ended up on good terms with her family that it’s a different situation? That’s a slightly flawed analogy there. Teresa added, “I always respected her because she was Dina’s sister. Now I have no respect for her and she said the nastiest things about me. She acts high and mighty. She’s low and f*cking mighty.” See what I mean? “Low and f*cking mighty,” is a meme-worthy line. This is the kind of material that we could be blessed with with Caroline and Jacqueline come back next season. TELL US- DO YOU WANT CAROLINE & JACQUELINE TO RETURN TO REAL HOUSEWIVES OF NEW JERSEY? DID CAROLINE BEFRIEND TERESA’S FAMILY MEMBERS FOR THE SHOW OR WAS IT GENUINE?